New Hampshire’s White Mountains are home some of the most challenging and beautiful trails in the country. The trails are often little more than eroded rockslides, navigated by boulder hopping and lowering one’s self off beleaguered tree trunks. And that’s just in summer. Thanks to the intersection of several storm tracks over bald summits, New Hampshire’s peaks are home to some of the worst winter weather in the world. And people can’t get enough. There are 48 mountains in New Hampshire rising 4,000 feet and above. 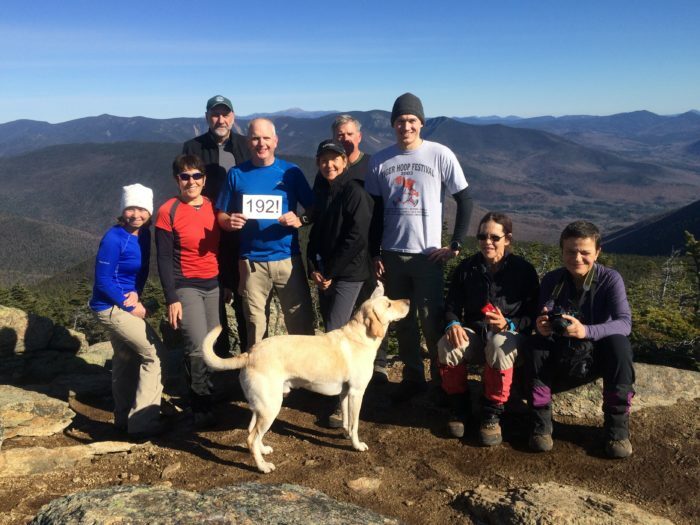 A well-known objective for New England hikers is to summit each of those 48 peaks, submitting their records for inclusion in the AMC’s 4000-Footer Club. The Whites are full of lists to work towards, and for intrepid hikers, hitting the 48 can be just the beginning. You can hike the 48 in winter, in all four seasons, redline (traverse every mile of trail), and you can attempt the Grid. Completing the Grid means hiking every peak, in every month of the year, for a total of 576 peaks. John Bergman Summiting Mt. Liberty (October 2015) to complete the Four Season 4000-footers. The Grid was next on the list. 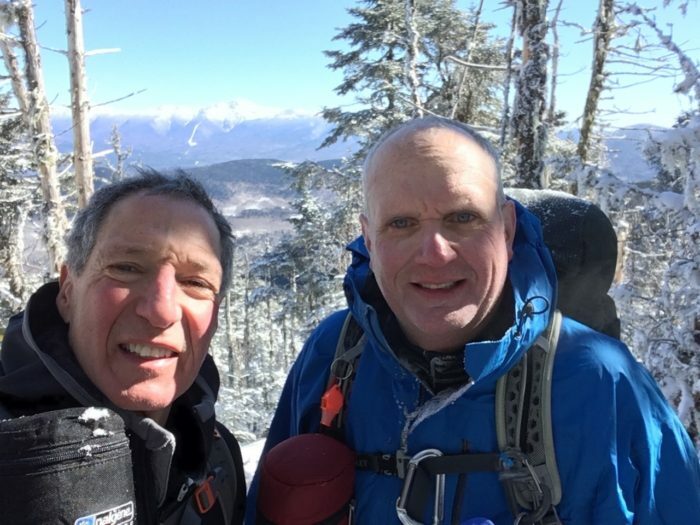 My love of hiking was born in the White Mountains, but I’d never heard of “gridding” until my father mentioned one of his hiking partners was going for it. He told me John Bergman could always be counted on for a weekend hiking excursion as he worked to fill in the 576 squares on his spreadsheet. I caught up with John to learn more about what it’s like to take on a list like this. “When you have solid winter conditions, you know what gear to bring,” says John, “but those in-between seasons mean conditions are variable. In April you have bare ground down low, but hit soft or icy snow up higher. Sometimes you carry snowshoes for no reason, or you feel ridiculous strapping them to your pack at the trailhead, but need them once you get up 3,000 feet.” The rest of the months come more naturally he says, but December and April are treated more like a job— setting a schedule and burning through vacation days if necessary. None of this region should be underestimated. Each year, the exposed peaks in the White Mountains claim more lives than many loftier summits around the world, and stories of experienced hikers succumbing to exposure make headlines across the US each year. John would never have the audacity to refer to himself as an expert, but the casual familiarity with which he discusses New Hampshire’s peaks is inspiring. His favorite peak? “West Bond,” he answers immediately. “It’s the grandeur of up-close views of scarred mountainsides, the cliffs of Bondcliff, peaks for 360 degrees, and very little evidence of mankind.” The only thing that makes this peak better is that you have to earn it. 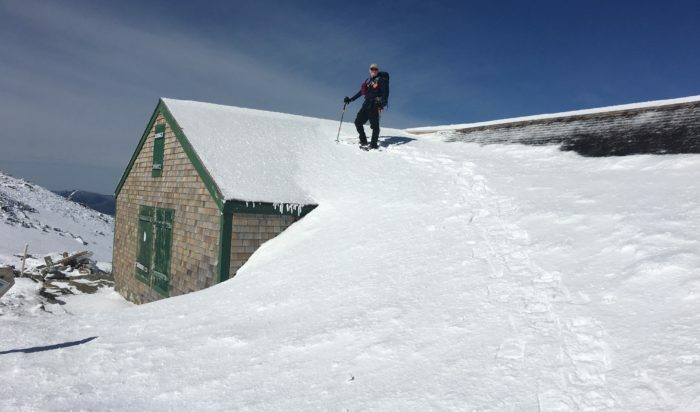 In the NH 48, it’s among the most remote to access, and is one of the few peaks John will do overnights to summit in the winter months, utilizing pared-down access at Zealand Falls Hut. Surrounded by wilderness on West Bond. Think Gridding is for you? This site has more information, and you can download a spreadsheet to get started. 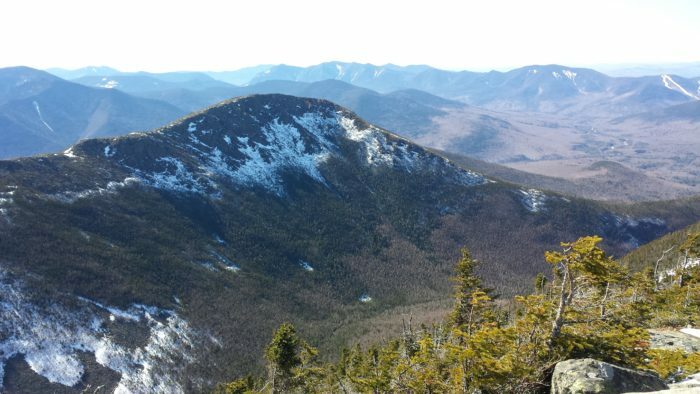 The AMC offers courses on first aid, orienteering, winter hiking, and more for hikers looking to up their game and get into the rugged serenity of New Hampshire’s White Mountain region. Can we do more than one list at the time? Per example, doing the 48 and counting then for the grid? That’s a great question. Yes, you can be doing the 48 and then decide to go for the Grid, and count the peaks/months you already climbed towards that goal.